1. 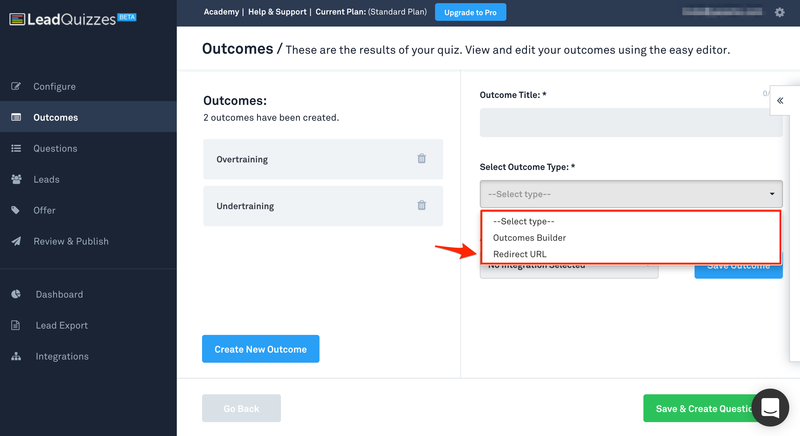 Create a new quiz or edit an existing quiz. 2. On the "Outcomes" section of the quiz builder select a previously created outcome or create a new outcome. 3. 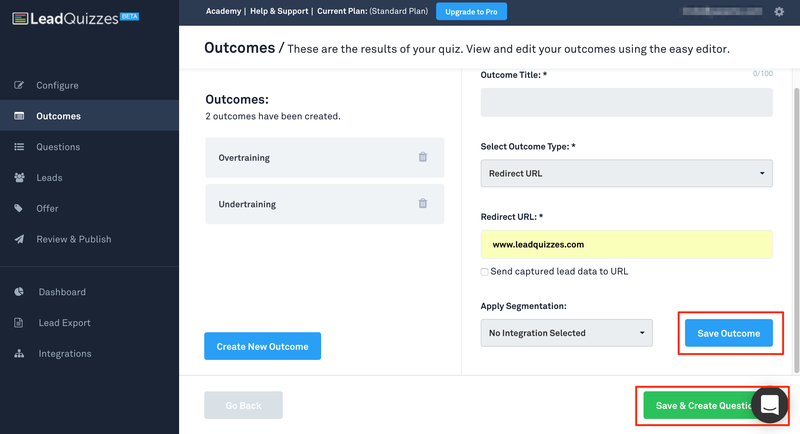 From the "Select Outcomes Type" drop down select "Redirect URL"
4. Paste the URL you would like that outcome to go to in the "Redirect URL" section. 5. 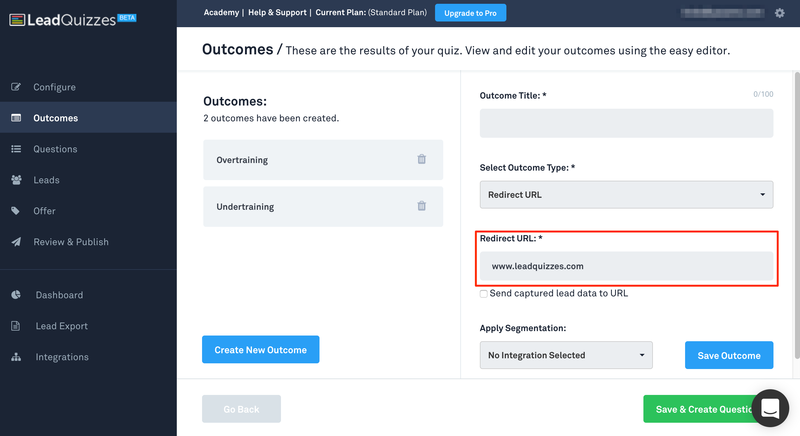 If you select "Send captured lead data to URL" then the information that is entered on the lead capture page (name, email, phone, etc.) as well as the result will be appended to the URL you are directing people to. This can be used to customize your results page even further, however requires additional development on your side. 6. If you would like to segment based on that outcome select the segmentation from the "Apply Segmentation" drop down. 7. Click save outcome and either repeat for additional outcomes or move on to "Save & Create Questions".